Use our resource to meet Steve, fox fire, and other oddities of the aurora. Hi, there! Meet Steve, arcing above the beautiful Canadian wilderness. Steve is part of the Northern Lights, or aurora borealis. What are aurorae? Take a look at our encyclopedic entry for some help. Although most of the solar wind is blocked by the magnetosphere, some ions become briefly trapped in ring-shaped holding areas. These areas, in a region of the atmosphere called the ionosphere, are centered around the Earth’s geomagnetic poles. In the ionosphere, the ions of the solar wind collide with atoms of oxygen and nitrogen. The energy released during these collisions causes a colorful glowing halo around the poles—an aurora. Here’s a pretty picture of an aurora oval above Antarctica and the geomagnetic south pole. The aurora around the north geomagnetic pole is called the aurora borealis (Northern Lights). 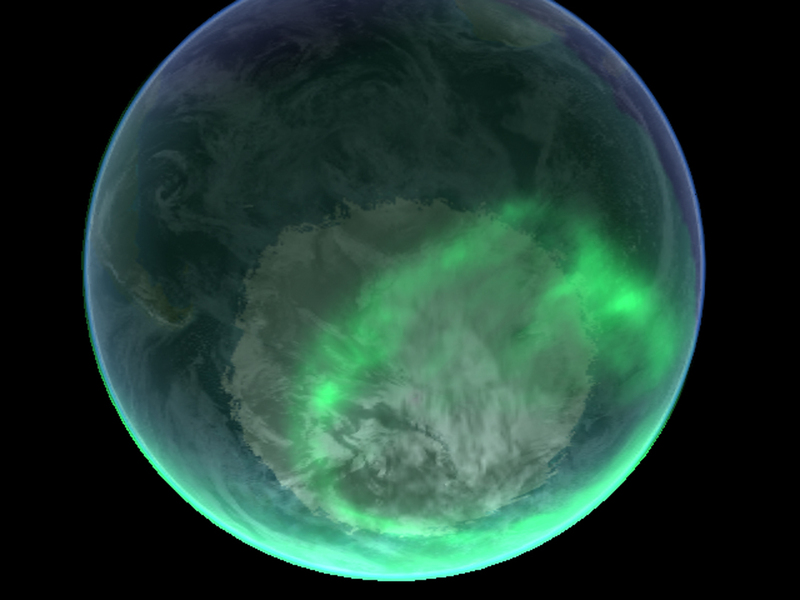 The aurora around the south geomagnetic pole is called the aurora australis (Southern Lights). The most active auroras happen when the solar wind is the strongest. The solar wind is at its strongest when the sun is active, experiencing solar flares and coronal mass ejections. What are solar flares and coronal mass ejections? Watch our video study guide to find out. Citizen scientists were instrumental in documenting the aurora phenomenon called Steve. What are citizen scientists? Take a look at our encyclopedic entry for some help. Citizen science is the practice of public participation and collaboration in scientific research to increase scientific knowledge. Through citizen science, people share and contribute to data monitoring and collection programs. Usually, this participation is done as an unpaid volunteer. Although citizen scientists identified Steve, the Swarm mission was essential to studying it. What is Swarm? Swarm is a European Space Agency (ESA) mission. Swarm is a constellation of three identical satellites dedicated to studying Earth’s magnetic field and magnetosphere. One Swarm satellite flew right through Steve, collecting data from its very cool electrical field instrument. 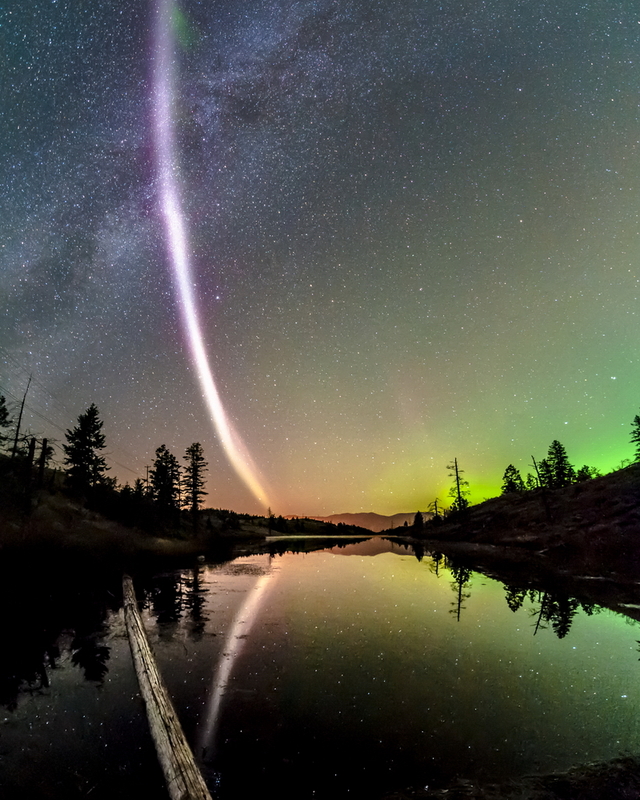 Steve is a bright, purplish arc of light that is quite distinct from the rest of the night sky and gauzy auroras. Dr. Donovan and other ESA brainiacs associate Steve with a fairly common phenomenon involving the interaction of a very slow-moving ribbon of gas and a big temperature spike (about 3000° Celsius or 5400° Fahrenheit) about 300 kilometers (186 miles) above Earth’s surface. Donovan says he has an idea of how Steve “gets its unique color and shape—but won’t spill the beans until an upcoming paper is published.” Stay tuned! Update!! Steve is now an acronym: Strong Thermal Emission Velocity Enhancement. Steve has “an unusual level of electron temperature enhancement and density depletion,” indicating it’s part of a subauroral ion drift (SAID)—a phenomenon scientists were well aware of but didn’t realize could produce visible auroras. Nat Geo: What are auroras? Nat Geo: What is citizen science?